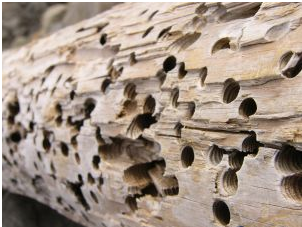 PLM Wood and Open Source Termites? Last week I wrote about PLM and Open Source Big Games. One of my conclusions was that PLM Open Source can become an interesting option in PLM and Enterprise space when it comes as community based development and include the ability to leverage existing Open Source projects Today, I wanted to come with the example that matches this pattern. SAP is a well known big enterprise outfit that has some stakes in Product Lifecycle Management too. I had chance to read the following article by CMS Wire about CoreMedia Open Source Content Management portal platform for SAP users – CoreMedia Web CMS Readies to Woo SAP Portal Users. I found this read interesting. SAP Portal developments can be considered as a “dead wood”. SAP has their own portal strategy. In addition, SAP and Microsoft’s partnership brings lots of Microsoft SharePoint stuff in this space as well. However, CoreMedia open content management platform, can be proposed as an open source option to drive some user attention in this space. Interestingly, many of SAP’s known features — such as collaboration and KM (Knowledge Management) — CoreMedia chose not to support — focusing mainly on the infrastructure/delivery capabilities — citing the fact that they wanted to avoid any “dependencies” on those features based on what they heard about SAP not developing those capabilities in the future. CoreMedia is already doing some personalization and social software features in the Web CMS, but later on the roadmap we should see more of that being done for SAP customers, so that they can use inherent to SAP transactional data (from CRM, ERP, etc.) to enhance their existing online engagement offerings. Transactional data managed by SAP is becoming more valuable on the web, as organizations are looking to drive the web more dynamically and to have a more personalized website. Hence, more attention to CoreMedia’s Content Application Engine (CAE) in the second phase. CoreMedia example made me think about what can be a potential open source platform for PLM? All available PLM platforms in the market today are proprietary platforms developed in the last two decades. The cost of any of these platforms is high. To develop a new PLM Platform can be mission impossible. However, you can think about potential injection of open source components into these platforms. This can be a gradual process that will make a transformation into PLM platforms towards additional openness and significant cost saving for customers. The focus of such injection can be around infrastructure and not around end user modules. It will allow to lay a foundation for the future community development and contribution.